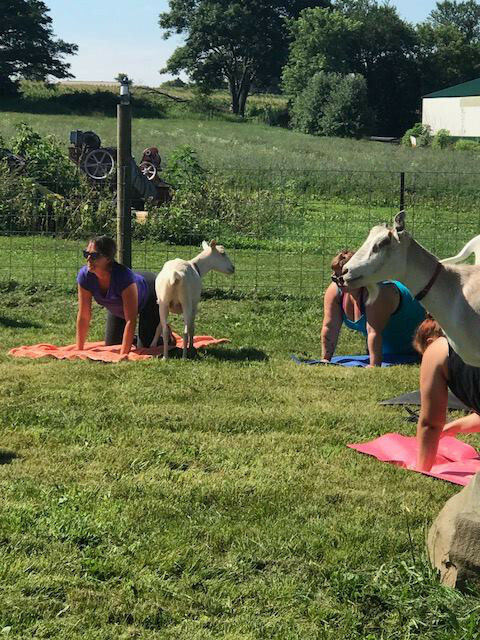 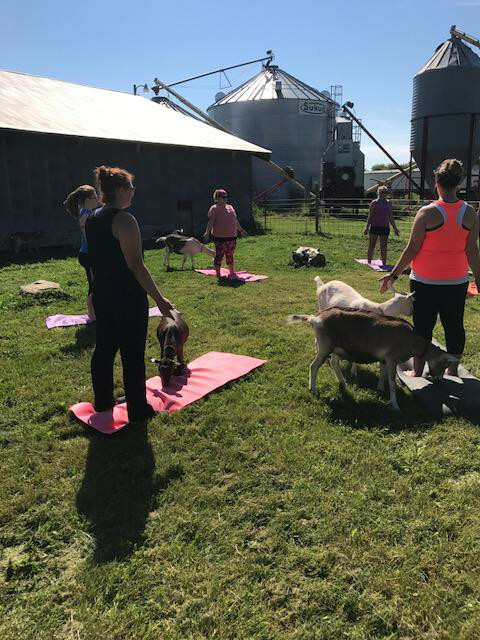 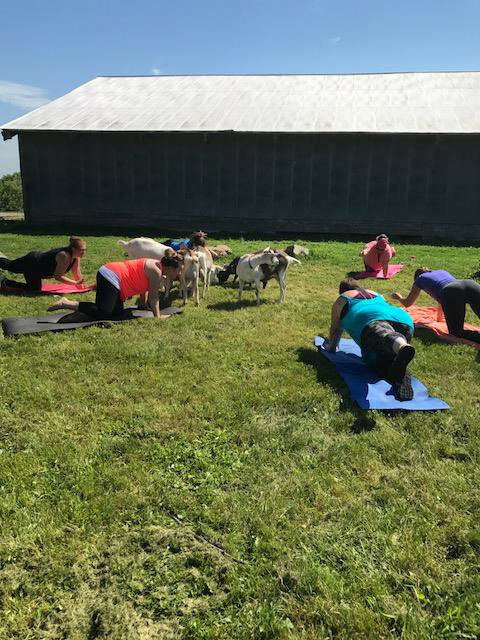 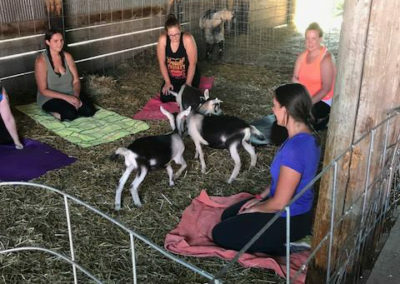 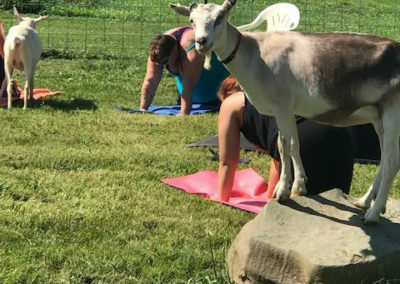 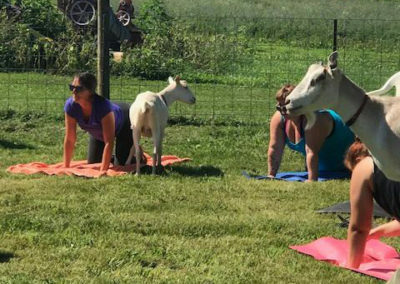 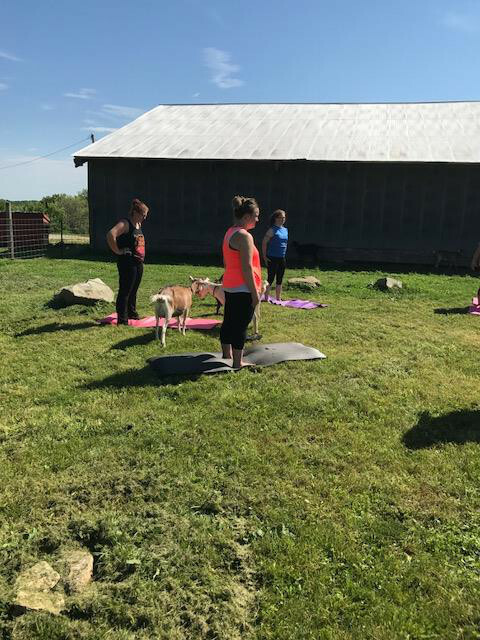 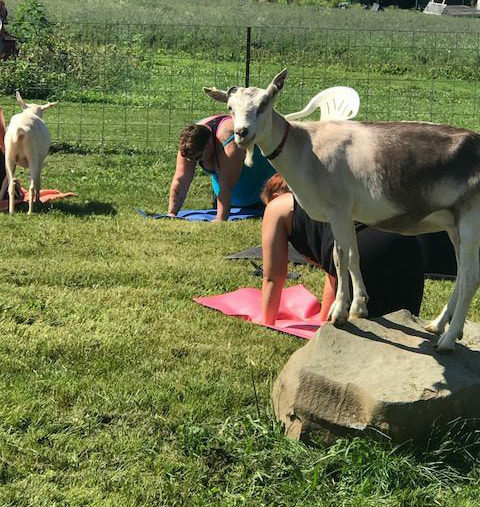 We had our first ever goat yoga class at Have Ya Herd! 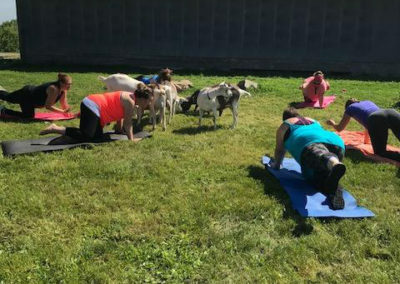 It was a great time had by all, the goats included. 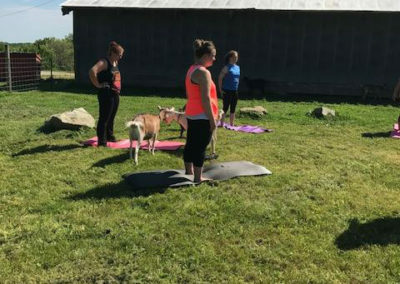 Stacy, our fearless leader, did an amazing job teaching the class, and walking us all through what to expect. 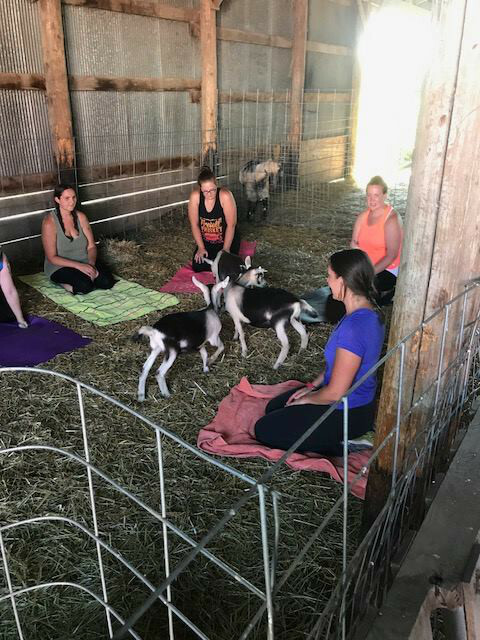 We began with the big goats outside, and eventually took class inside the barn to test out the baby goats. 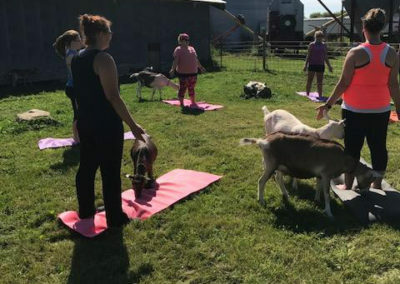 The big goats did a lot better and were loving all the attention and pets!